It is actually a bo (japanese long stick) against double sticks. The bo is shorter than a spear, is more rigid and does not have a sharp point. The wielder of the bo does not seem to have skills to counter an in-rushing opponent with shorter weapons. 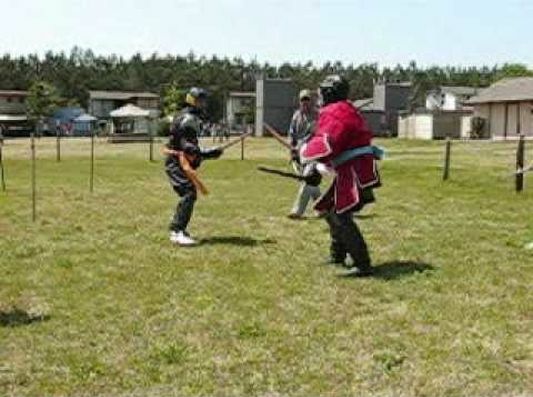 It does illustrate though, without proper training, once an opponent has got inside a longer weapon's range, it is quite difficult to deal with. But let not this video prejudice the spear, if used properly, the spear is like a gun (in fact, the chinese word for the spear is the same for the gun).